When Google’s Display Network first came out, numerous denizens of Planet Perry tried it out and pronounced it garbage. A dumping ground for content producers to profit from cheap untargeted traffic. A bonanza for spammers and AdSense system-gamers to make money off of unsuspecting advertisers. About a year later, I accidentally clicked the Display Network check box in my Google account. I might have easily forgotten all about it or not noticed at all. But a few days later my Aweber email account was turning out 100 leads per day when 15-20 was normal. WHOA. One of those rare, not-on-purpose, priceless discoveries. 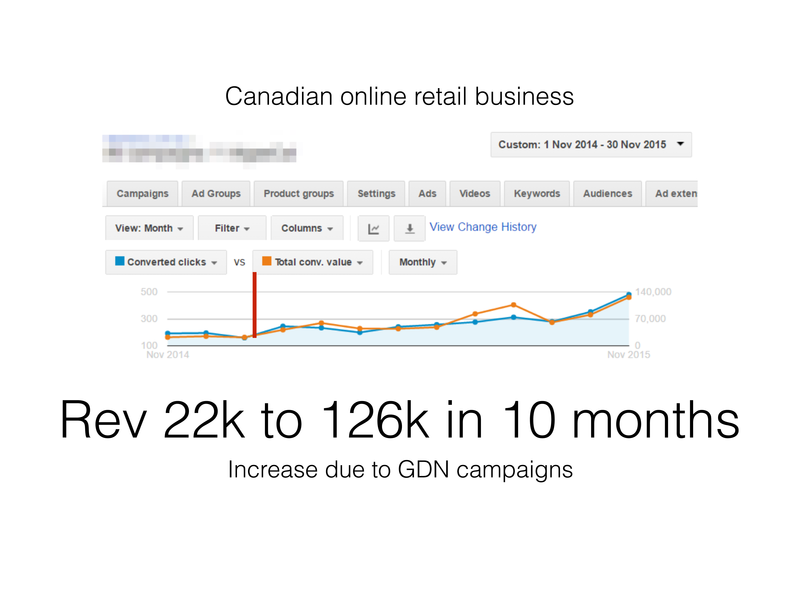 I combed through my campaigns and figured… hey – I switched on the Display Network and look at all these leads! The leads were less expensive, too. While I was busy ignoring the Display Network, Google was quietly at work. That was the day I figured out: Sure, those people weren’t SEARCHING for this, but they found you anyway – somewhere on the Internet, your ads were showing up – and there are LOTS LOTS LOTS more people who can buy from you than will actually search today. If you want to sell stuff to Buddhists, do you bid on “Buddhism” on Google? No. That will get you kids who are writing a report on world religions for school. But there’s at least 100 million Buddhists surfing the web every day. The Display Network became my favorite fishing hole. The Jet Stream is that fabled place in Google AdWords where, once you cross a certain threshold, your ads show up almost EVERYWHERE. Profitably. Of course this can exist in a giant mass market like diets (“One trick to a flat belly” and the like) but it also exists within niches. Even industrial equipment or crafts or consulting. I love Google’s Display Network. Display Network became my secret weapon. I could burrow down in niches, occupy territory and capture fortresses that most people thought unassailable. The Neanderthal way to penetrate a market is to jack up your bid price. And sure, if you are the guy or gal who can outspend all others, you can become the 800 pound gorilla. But that is not the only way. Getting more of your ideal customers affordably is like penetrating a granite fortress on a day where a thick fog shrouds everything and you literally cannot see 3 feet in front of you. Yes, you can sit there and fire cannon shots into the mist, hoping that one eventually pounds through the mortar. You hope that if it does get through, you are actually able to somehow know it got through, considering you can’t see a single thing. Or you could shine some other kind of light at some other frequency, like night goggles, clearly seeing that if you stand on a 20 foot scaffolding and fire your gun at the perfect angle, you take out the castle’s entire electrical system in one shot. Not only that, there are 40 other angles that could work as well. If you just knew where the general was sleeping, a raven could drop a hand grenade down his chimney and it would all be over. There’s also a window where you can see the king’s chair and a round of bullets would take him out in 12 seconds. In every market there are MANY angles in. They just happen to be invisible to you, given the regular tools that everybody has. It might “officially” cost $100 to acquire a customer with brute force, but you can still get ’em for $40 if you use finesse. They look out over the vast plains and lament the “good old days” when the buffalo ranged as far as the eye could see. If your traffic relied heavily on search…and you weren’t landing in the top 3 spots consistently…you probably got knocked off your horse and are limping around wondering where all the buffalo went. But the truth is, there are always happy hunting grounds. If you know where to hunt and how to hunt. I’ve always liked Google Display Network as a “secret” happy hunting ground. Unlike search you can still find herds of buffalo, acres of cheap traffic, on display. Unlike search there’s a lot more room for creativity, for testing, for finding nooks and crannies in the market, for devising strategies that are opaque to…and irreproducible by…your competitors. Unlike search it’s still a happy hunting ground. The buffalo still roam fat and free. If you haven’t taken a good hard look at your Google Display Network traffic strategy in the last 6 months, you’re letting the buffalo get away. You’re ignoring herds of good traffic. It might be the MOST underutilized and underappreciated low-cost traffic channel. And probably 90% of the marketers using it are leaving big money…and big traffic…on the table. Are you letting your competition eat your buffalo? Search is linear. Display is exponential. And PPC advertising is like that today. Except, instead of 3 times from 3 sources in 30 days, you need something like 30 times from 3 sources in 30 days! This will be a central teaching tenant of PPC 2.0 in Planet Perry for the foreseeable future. You must be…or APPEAR to be…everywhere! And the thing I love most about the Display Network is, when you have a product that’s a fit (and many products do fit! ), Google’s capacity to scale your traffic UP is almost frightening. On the search network, there’s no such thing as “going viral.” But on the Display Network, Google is scanning the terrain for opportunities to show your ads on more and more and more sites. You must tame the beast – but when you do, lemme tell you, when you hit that “viral” curve on Google Display Network, it’s a tremendous experience. “I just wanted to drop you a quick note to say how useful the [Adwords Bootcamp] Team Action Group call was with Mike Rhodes. There were only a handful on the call, but Mike took a real interest in all our questions. His patience with what were probably pretty basic questions for him was excellent, and I came away with my head buzzing with ideas. The impact is titanic, because your overall sales are proportional to conversion rate to the power of 3! 2X CONVERSION = 8X SALES. That’s because 2X conversion allows you to bid twice as much. 2X bid price = 4X traffic. 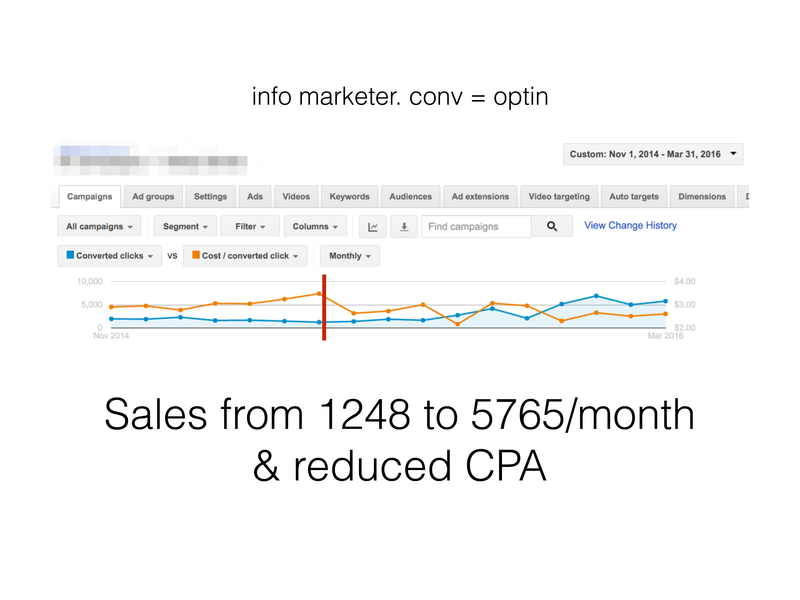 4X traffic with 2X conversion = 8X sales. This is how you dominate your market. 8X sales = 8X faster testing which means even greater gains in the future. Like I said, search is linear. Display is exponential! How you perform on the Display Network is what really separates the men from the boys. My friend, the exponential, Jet-Stream power of the Display Network is why it’s EASIER to be #1 in your market than to be #5. When you’re #5, you’re fighting over the scraps, contending for survival every day. When you’re #1, the world eats out of your hand. The Display Network is a powerful beast of an advertising organism…but like most beasts, not easily tamed. But for those who can tame the beast…especially the top 2%-5%…the rewards are transformational. That’s why we’re working with the “Beast Master” of the GDN. The guy Google its own bad self hired. 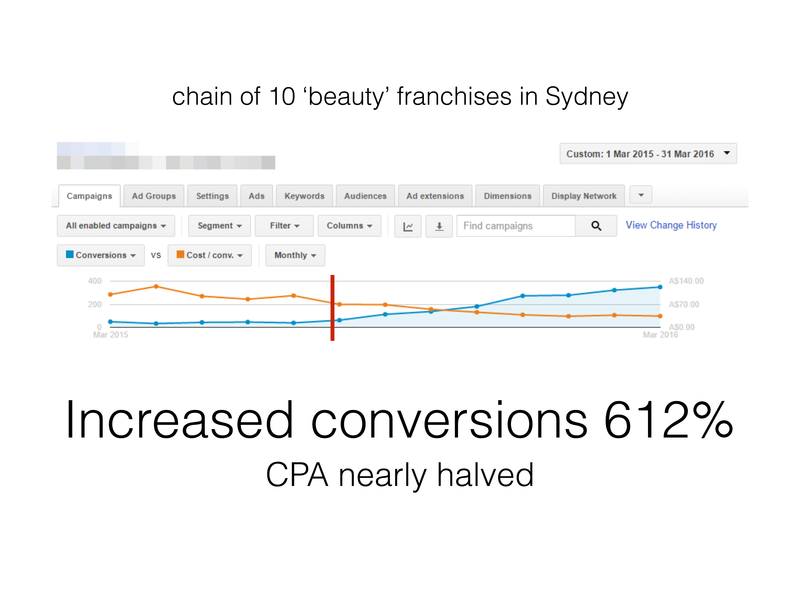 That’s right, Google hired Mike Rhodes, our go-to-coach for the Display Network, to teach Aussie marketers how to get the most from AdWords and how to run a PPC agency! And now he’ll de-claw, de-fang and demystify the Display Network for you until you’ve got it purring like a kitten. Doing your bidding. And plowing your business toward it’s next quantum leap in 2019. He’ll vault you into that coveted, elite 2%-5% who TROUNCE the bottom-feeding 95-98%. Guaranteed. Or your money back. (Details below). Add New Renaissance 12 to Your Order to Get Basic or Basic+ for free. Or get a $1000 discount on VIP. Click one of the order forms below for more info. Already a New Renaissance 12 Member (or Above)? Includes all 5 coaching webinars with Adwords Expert Mike Rhodes. Also includes Q&A webinar. I’m dead serious about this, so I am making a huge performance guarantee that basically says if you participate, you’re going to get a bare minimum of 30% improvement in your Google Display Network campaign performance. Of course some students will achieve far more than 30%. Some will see 300% and 1000% performance increases. Some will enjoy $100,000 and $1 million sales increases. Like I said, the guarantee states the MINIMUMS. I guarantee that if you do the homework, enter the contest and don’t achieve the minimums, you get your money back. …or your money back. Guarantee valid for 30 Days of your date of purchase. Full refund is available if you cancel within 48 hours of purchase. After that, full refunds are only available to students who do the homework, enter the achievement contest and document their results. The webinars are 75-minutes to 2-hours each. You receive access to the MP3’s, transcripts, and handouts. Who is Mike Rhodes? Is he qualified to be guiding me through a minefield that's strewn with dead bodies and stumpies? Does he have successful websites and track records of his own? Yes to all. 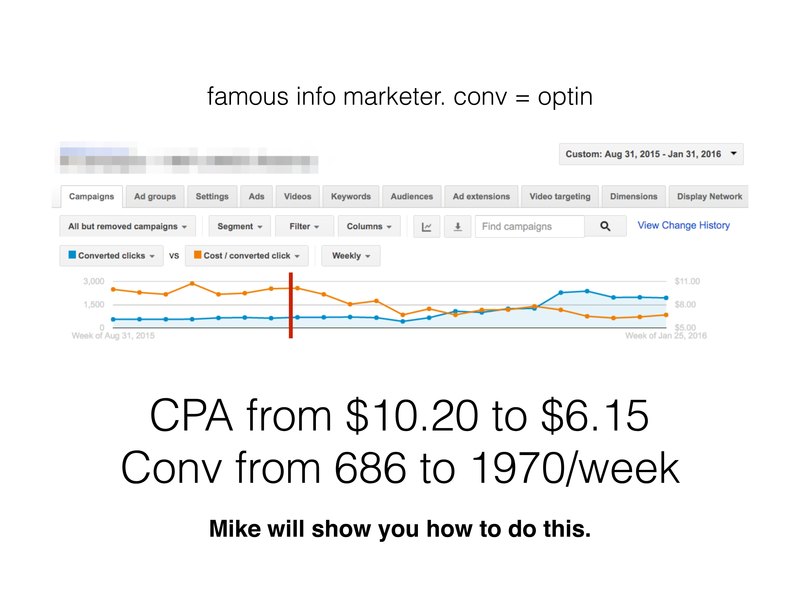 Mike is one of the most respected AdWords experts on the planet. If you have doubts, well, you can always Google him! He’ll take you and your business to the next level of success. What kind of follow up do I get after Display Network Boot Camp is over? Learning and improvement are an ongoing process so after the Boot Camp is over, you continue in New Renaissance. Members meet via webinar every month on the New Renaissance webinar. And access to the other members on the forum is worth the price of admission all by itself. Consider: If a problem suddenly arises and you need competent advice fast, who do you call? Who can you call? A private New Renaissance Forum like this one gives you instant access to several hundred people, several of whom at any given time have probably solved the exact same problem you face. You will often get an answer in minutes or hours. New Renaissance 12 is $999/year.